Dr Lorraine Brennan's first pension contribution was made in "blind faith". 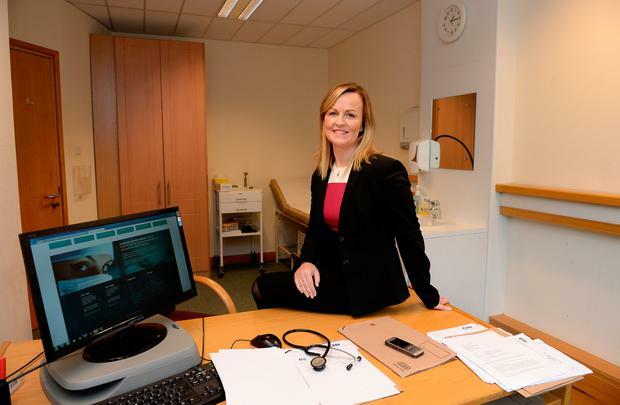 Dr Brennan (42) is a full-time occupational health physician and partner with Corporate Health Ireland. A chance piece of advice led to her starting her own pension, aged 27. "While I was doing my four years' GP training I had a pension with the HSE, but when I began working as a self-employed doctor I had no employer to rely on," she said. "The first contribution I made into my own fund was in blind faith. It was the accountant handling my tax affairs who told me making contributions would be tax efficient. Retirement was the last thing on my mind." Dr Brennan, who lives in Kilmainham, Dublin, said that, until two years ago, she continued in an ad hoc fashion, making yearly contributions. "It was disjointed with various funds and types of investments. These were managed by the banks, which meant they were cautiously invested. "In 2015 I changed tack and consulted Stephen McCarthy from Alchemi Financial Services, who had been recommended. "He streamlined and consolidated my pension profile into a fund with Standard Life. The products we discussed are called MyFolio3, a medium-risk fund, and the European Smaller Companies Fund, which is a higher-risk, long-term growth fund. "As my retirement is at least 20 years away, I can afford to take a chunk of risk to try to maximise return. "The higher-risk fund is doing well at the moment, returning almost 18pc in the last five years. Currently, 70pc of my fund is in equities and 30pc in lower-risk investments. When I'm 10 years off retirement I'll switch more into lower-risk investments. The goal is to invest 20pc of my salary each year. "It's important for women to be financially independent."